The trailer of one of the most anticipated films, NTR biopic, is finally here, and it's got all the makings of a cinematic spectacle. The trailer opens with NT Rama Rao (played by his son Nandamuri Balakrishna) preparing for the role of Lord Krishna, then proceeds to chart his magnificent journey from being a superstar, to casting all glory away to connect with the people, to eventually founding the Telugu Desam Party and becoming the chief minister of Andhra Pradesh. It also provides an insight into the loving relationship between NTR and his wife, Basavatarakam (played by Vidya Balan). Apart from Nandamuri Balakrishna and Balan, the biopic boasts of a star-studded cast that includes Rana Daggubati as Andhra Pradesh chief minister N Chandrababu Naidu and Sumanth in the role of A Nageswara Rao, another Telugu film industry stalwart. Sachin Khedekar will be seen playing former chief minister of Andhra Pradesh, Nadendla Bhaskara Rao, and Rakul Preet Singh as the late actress Sridevi. However, none of these characters are introduced in the first trailer. 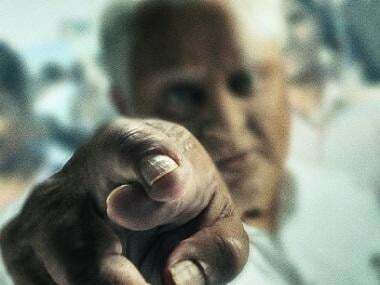 The Krish directorial will be releasing in two parts; Kathanayakudu which will hit the screens on 9 January and Mahanayakudu, which will open on 24 January.